Under a blazing sun a band of 34 of us gathered to enjoy a day at the seaside fossil hunting. 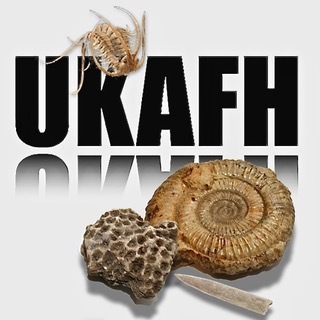 Kitted out in hi-vis but otherwise lightly equipped, this family-friendly fossil hunt was ideal for beginners and old hands alike. Fossils are easy to find at Beltinge and require only a sharp pair of eyes and a little patience to find. Beltinge beach yields fossils from the Palaeocene and Eocene epochs of 56 – 54 million years ago which were laid down in a warm marine climate. The Paleocene rocks of the Thanet Formation are exposed on the foreshore and in the cliffs towards Reculver. The younger Palaeocene and Eocene rocks overlay this and are exposed in the gently dipping strata. At Beltinge, the Beltinge Fish Bed of the Upnor Formation (Palaeocene) is brought down to beach level. West of the car park, the Oldhaven Beds slope towards beach level, exposing the Oldhaven Fish Bed. The fossils at this location erode slowly from the cliffs and the beds which form the beach. Beltinge is renowned for a diversity of fossil shark teeth as well as marine vertebrate remains such as fish and shark vertebrae, eagle ray and chimaeroid fish dentition and bones and carapace of marine turtles. On the date of our visit the tide wasn’t particularly low and the sea has been very calm, meaning that a lot of sand was deposited on the beach and the best search areas were covered by either sea or sand. However fossil hunters should not be deterred as a location like this is so rich in fossils that even a “bad” day will yield finds with a little patience and effort. We had only been on the beach for a few minutes when first-time UKAFH hunter Jo Applegate found a shark or ray vertebra, an uncommon find. Continuing along the foreshore, we searched the gravel and shingle on the foreshore for fossils and soon the group was finding shark teeth and other small fossils. Below are finds by Nicky Parslow and Olivia Birch. As we proceeded we followed the tide out and headed towards Reculver where the “islands” of sand and shingle form, trapping fossils amongst the small pebbles. There are teeth from about 24 species of shark, ray and other fish to be found here, as well as the remains of crocodile and turtle. Poppy Hewitt found a beautifully preserved section of turtle carapace and Sam Caethoven found a nice piece of eagle ray palate, pictured below. Amy Everitt also soon found her first shark tooth! Fossilised wood is also common at Beltinge although it is very friable and not worth retaining. Pyrite specimens are a little harder wearing but prone to pyrite disease (rust!). Members were able to find and enjoy numerous specimens. Continuing onward and outward, as the low tide peaked we reached the Thanet Formation which we were fortunate to find exposed. Here it was possible to observe many bivalves in situ, although on the whole they are too fragile to remove, being supported by silty sand and mud. However, some of the bivalves have become pyritised inside so occasional examples of intact shell over solid centres or the beautiful metallicised casts of the bivalves can be safely collected. Close attention to the areas between the pebbles and the clay on the foreshore began to reveal a greater number of shark teeth. These were larger and better preserved than those found in the shingle, being more newly eroded from the clay, and were predominantly Striatolamia macrota. This is the most commonly found shark tooth at this location and is black in colour and distinguished by striated faces. The best example was found by Aidan Philpott. Aside from the shark vertebra found, the most unusual find of the day was identified after the fact as a partial snake vertebra found by Nicky Parslow. Nicky also found the partial echinoid pictured below, alongside a left mandibular plate from the chimaeroid fish Elasmodus hunteri found by Sam Caethoven. We have received several emails with thanks and positive feedback from members who attended the event. We very much enjoyed hosting the hunt and are delighted that members had a great time too! As always, we look forward to meeting you again on future hunts. Finally, could a sunny day at the seaside be complete without an ice cream? This entry was posted in Reports and tagged bivalve, chimaeroid, echinoid, Finds, fossils, gastropod, herne bay, ray, shark, snake, tooth, turtle.